Jim Masolotte and I, Leslee Mauz Masolotte grew up in scenic Potter County which is a north central county in rural Pennsylvania. Hunting, fishing and outdoor activities were an important part of our lives. Jim’s family worked in a leather tannery and Jim worked during high school and college at local chicken and potato farms. My family had a small hunting, fishing and clothing store business. 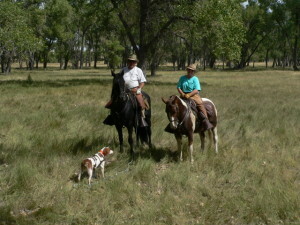 I worked in my family retail business and was also active in 4-H horse showing during high school. Both Jim and I finished our college degrees in the East and have been married for 45 years. A job change for Jim brought us to Colorado which begins the rest of our story. 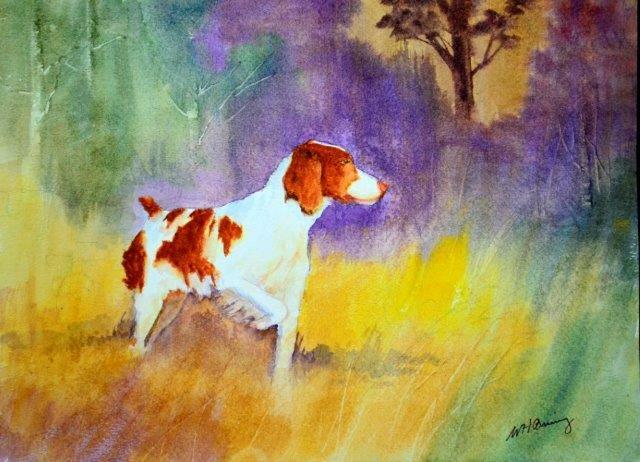 We began upland hunting in Kansas and Nebraska with our first Brittany in 1978. We had a neighbor Helen Haas who was showing several of the hound breeds and she encouraged us to start showing our Brittany. With the help of Toni Meyer our first Brittany became CH Goldtone’s DeCampo Missey who was from the kennel of Kaye and Sharon Ruske. We are now blessed with many AKC Show Champions, Master Hunters, Senior Hunters, Junior Hunters and Amateur Field Champions and Open Field Champions to our credit. We have won numerous dual dog awards as we strive to breed Brittanys that fit the breed standard and have the mental and physical ability to compete both as field dogs and show dogs. OUR GOAL is to match the right puppy to the right new owner in an effort to find homes that will use our pups for the function for which they were bred. We prefer to sell our puppies only to homes that will use them for hunting or field trialing. Our breeding stock must be free of genetic defects as well as having sound minds and bodies. First and foremost they must be good companion dogs. We breed one or two litters a year.